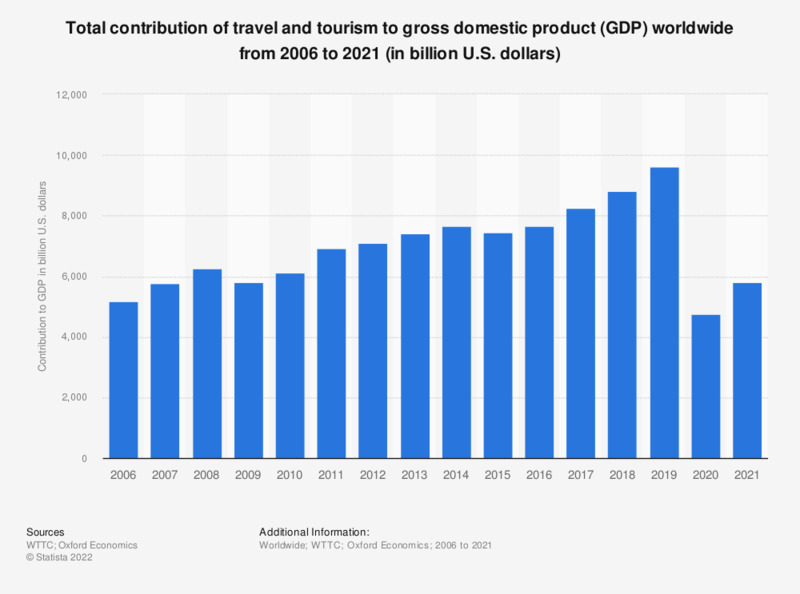 This statistic shows the direct and total economic impact of travel and tourism on the global economy from 2006 to 2017. The direct economic contribution of travel and tourism amounted to approximately 2.57 trillion U.S. dollars in 2017. A highly valuable industry to the global economy, travel and tourism's contribution has stedily increased for over a decade. North America makes the largest contribution in this area, closely followed by the European Union and North East Asia. Due to their less developed tourism industries, regions such as North and Sub Saharan Africa make a much smaller impact. However, according to the World Travel and Tourism Council (WTTC), some of the fastest-emerging tourism destinations can be found in Africa, including Namibia, Zambia and Angola. This is perhaps due to the realization of the benefits travel and tourism can provide for a country’s economy, or maybe because of the growing popularity of less-traveled destinations among global tourists. This is not to say travelers are not still visiting well-established tourism destinations in their millions – the number of overseas visitors to the United States, for example, is still increasing each year and is expected to exceed 40 million by 2018. More statistics and facts on global tourism, the Chinese tourism industry, the cruise industry and hotels. The direct travel & tourism contribution includes the commodities accommodation, transportation, entertainment and attractions of these industries: Accommodation services, food & beverage services, retail trade, transportation services and cultural, sports & recreational services. The figures for total impact also include indirect and induced contributions.